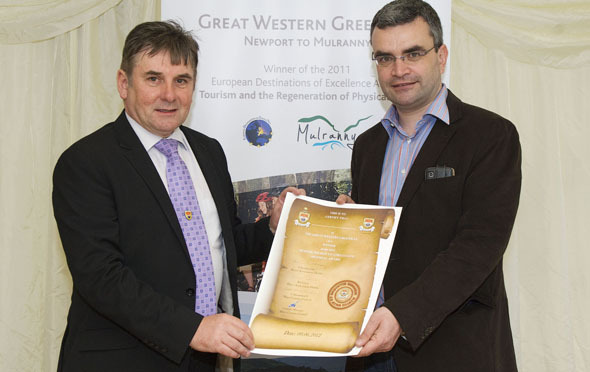 The Meitheal Award 2012 was awarded to The Great Western Greenway Landowners. 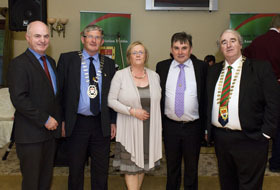 These generous Mayo landowners granted unrestricted access of their property to the public to enjoy idyllic Western scenery along what is now the longest off-road cycling experience in the country. 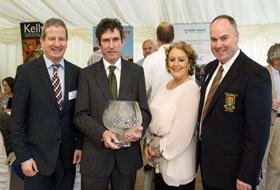 A special presentation of certificates were presented to landowners at a Gala banquet at Nevins in Tiernar by Muintir Mhaigh Eo Atha Cliath.